It’s ‘Dolphin Week’ next week at Provo Primary and Middle School! 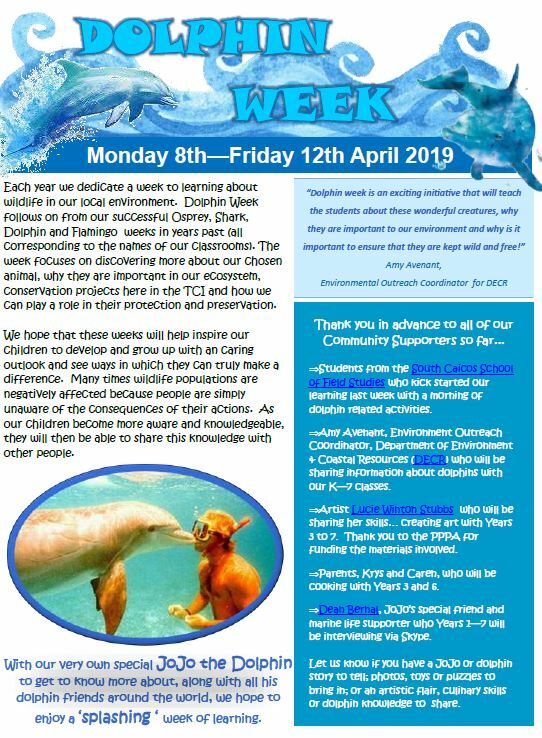 Find out more about our Dolphin Week activities and all about our community friends who will be supporting us in our newsletter. Each year we dedicate a week to learning about wildlife in our local environment. Dolphin Week follows on from our successful Osprey, Shark, Dolphin and Flamingo weeks in years past (all corresponding to the names of our classrooms). 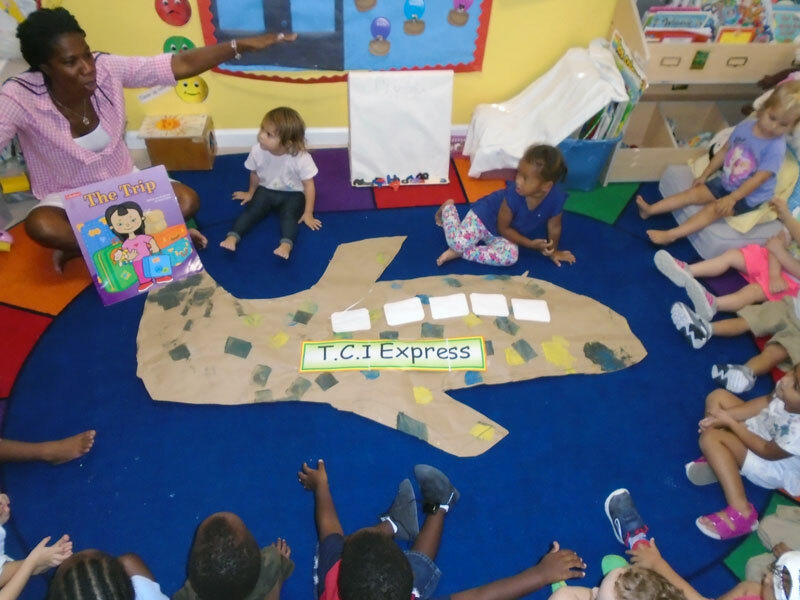 This year we will be discovering more about dolphins and learning why they are important in our ecosystem, conservation projects here in the TCI and how we can play a role in their protection and preservation. 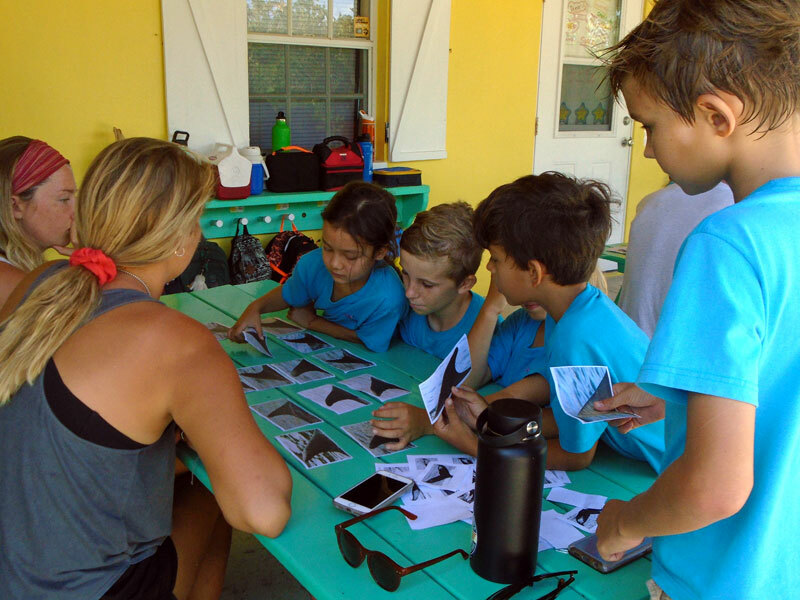 Ahead of our upcoming local animal themed ‘Dolphin Week’, it was great that on Wednesday, the School of Field Studies (SFS) from South Caicos came in to teach and tell us all about them. There were all different types of activities for different personalities, soccer for active people, trivia with rewards for those with a sweet tooth, origami for crafty types and clay modelling and swimming in water for experimental, scientific types. The Preschoolers are learning all about plants. One morning as the children ventured out for outside play, they were curious to find lots of brown leaves on the ground under one of the almond trees. They began to enjoy an instant lesson about why the leaves were changing colours and dropping, and how its almond seeds are edible fruits that can be planted to grow into a new tree. 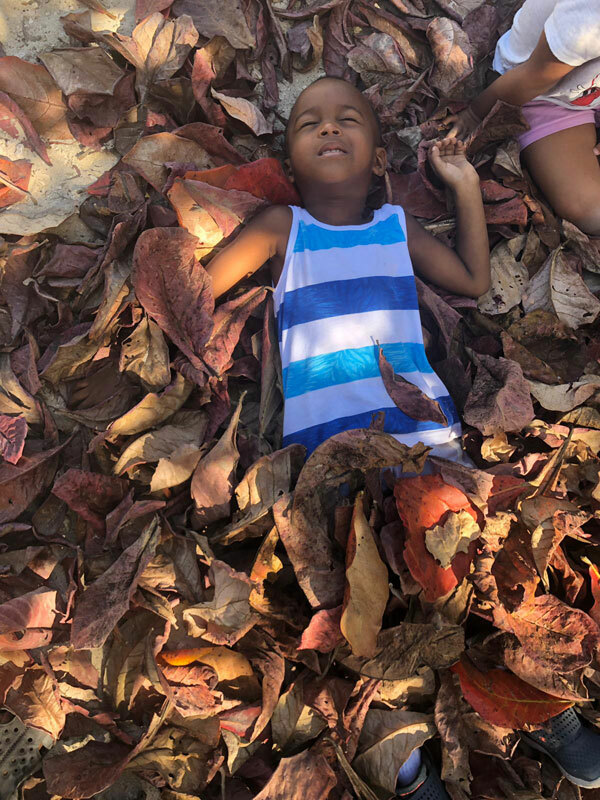 The children were given opportunities to explore the leaves – from raking them to laying in them, looking up into the tree and enjoying shade it provides. The leaves were gathered and taken to their sensory table for them to continue their exploration. Once the children were finished playing with them for a few days, the leaves were then used to make crafts projects like leaf rubbing, which were then used to make a big paper tree. Middle School Bag4Life Project – available now! 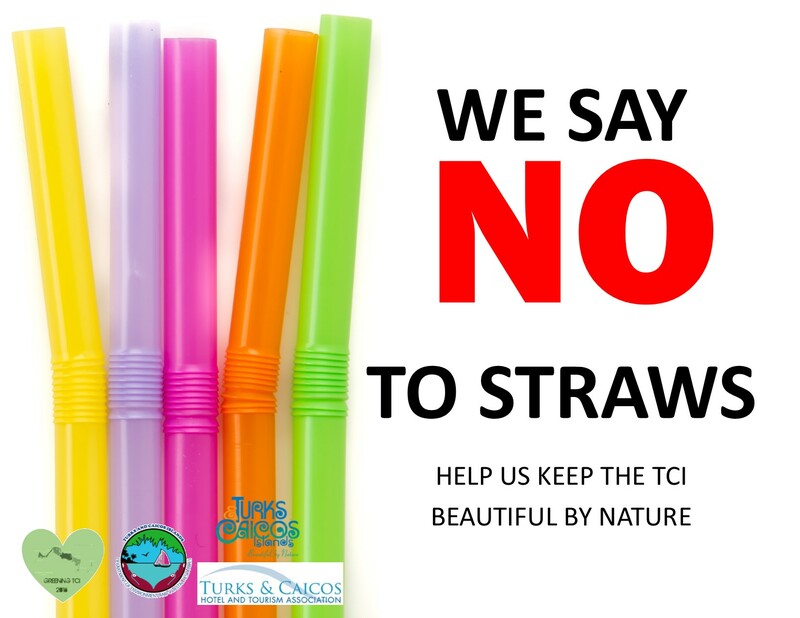 Did you know that supermarkets around the TCI will not be providing plastic bags after this month? Well, we did – so children of Provo Middle School set about making pointillism-style Bags4Life to help you carry your groceries! Each piece of artwork was inspired by the TCI’s Beautiful By Nature animals. Done in a pointillism style, they were painted dot-by-dot by our Middle School students. Our bags are reusable and durable, making them an environmentally friendly alternative to plastic. And we think they look great too! Our bags are available at the Middle School and will be sold at Provo Primary School for the week of January 14th-18th at our 3pm collection time. They cost $20 and all profits will go towards the Year 7 end of year field trip. 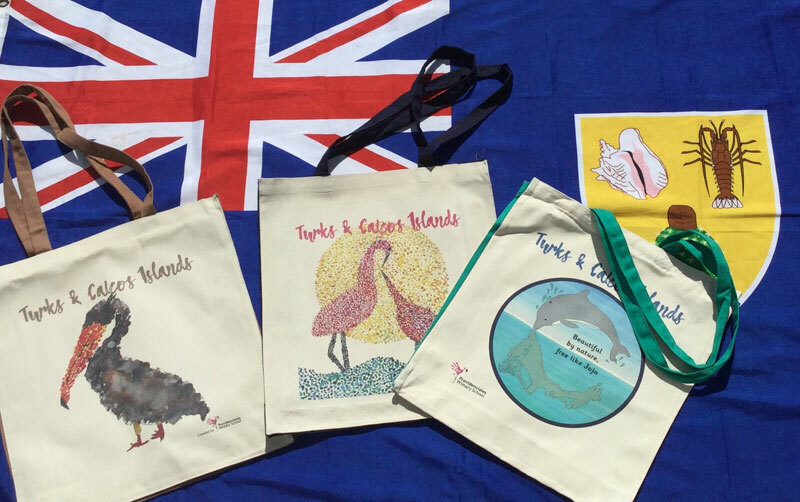 We hope that you like our Beautiful By Nature designs – pick up a bag today! 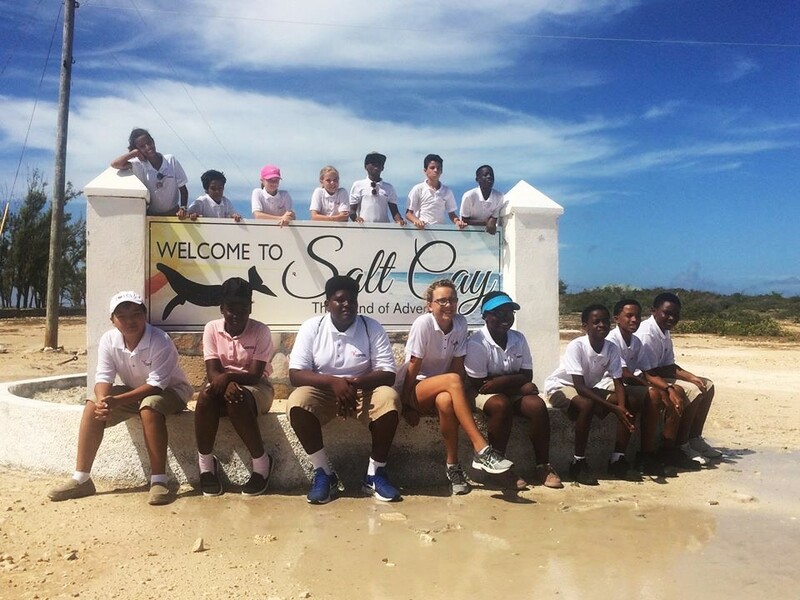 Our Year 7 students set out to explore the TCI’s history this week with a trip to Grand Turk and Salt Cay. What better way to bring the Turks and Caicos Salt Industry to life than with a visit to the salinas of two of our nation’s salt islands?! 15 excited students set off from Provo airport for two days packed with first-hand experiences linked to the period of salt production, which spanned nearly 300 years. After flights and a boat ride, the 5 hours spent on Salt Cay couldn’t have been more packed! 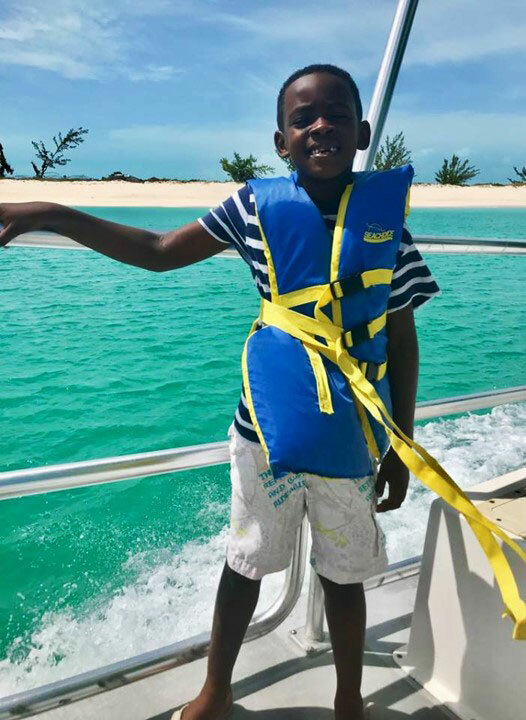 Children were treated to a guided tour from the Deputy D.C. of Salt Cay, Mr Hamilton, and were fortunate to have his insight and knowledge to guide us throughout the day. His technical knowledge of the canal systems and how the industry operated was invaluable to our understanding of the process of salt production. More importantly, his passion for the island was infectious and we couldn’t help but learn form his wonderful stories. Under his guidance, we took a walking tour of the salt ponds and saw real examples of all the things we had been learning about in class. SFS Superstars visit was a hit! 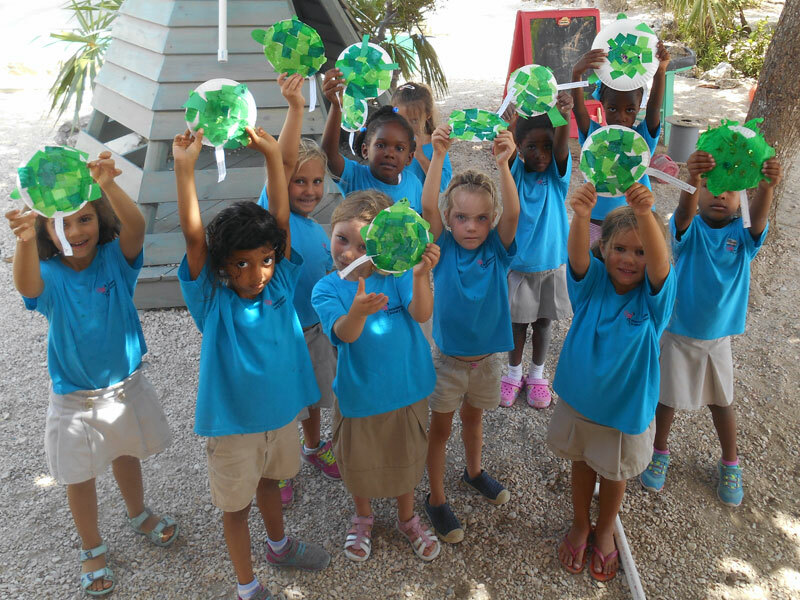 Wednesday the 17th October the whole of KS2 were lucky enough to be visited by the wonderful SFS (School for Field Studies) from South Caicos. These are university students from America who come over to study the nature, biology and wonders of the T.C.I for one semester. They have visited our school for roughly the past 5 years and it is always a complete delight to have them here. Their enthusiasm and their kind, friendly, open nature towards all of our children makes their visit not only academically worthwhile but also a wonderful social experience for the children interacting with a different age group. We’re on The Move T.C.I…Let Move! With memories of the summer holidays still fresh in the Preschool children’s heads, we have spent the first few weeks of term talking about the places and people they visited and how they got there – plane, train, automobile, boat or bike! We were amazed that some of the children were able to recall where their travels had taken them and a little of what they saw or did over the summer. We are pleased to invite you to come and enjoy our Year 3, 4 and 5 Heritage Month Showcase on the stage tomorrow afternoon between 2:20 and 2:50pm. The children will be presenting items from some songs and folk tales they have been practising with Mrs. Niki in their Theatre Arts classes. We hope you can stop by. A wonderful afternoon of cardboard creativity! 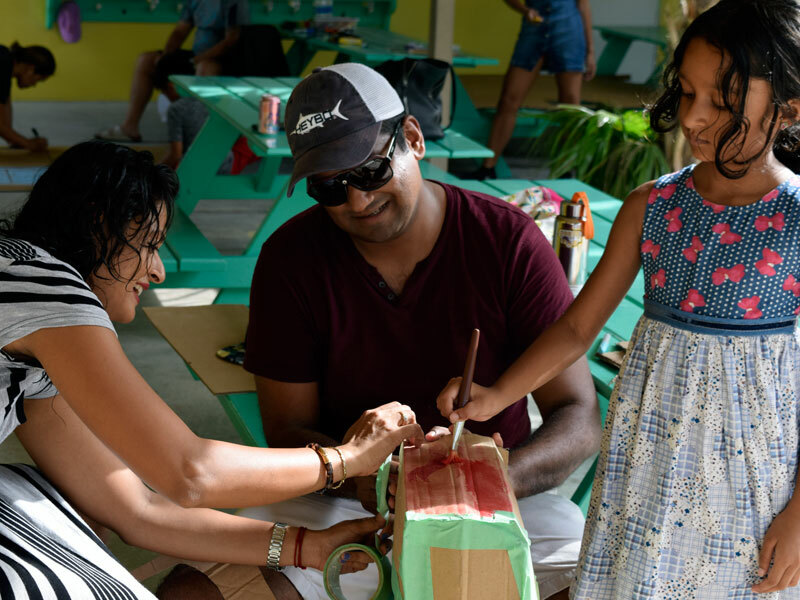 Inspired by ‘Caine’s Arcade,’ and with access to a HUGE pile of cardboard, a large crowd of creative thinkers and designers descended on the school this Sunday for an afternoon of good, old-fashioned family fun! An amazing array of cardboard creations emerged, with each family making something completely different to everyone else! With a lemonade stand and popsicles to keep us hydrated, the only thirst we felt was to think outside the box, create and play! Here’s a selection of few of the almost 100 photos of the day! Sadly, the rain today has brought a soggy end to our cardboard extravaganza but we are already looking forward to next year and the opportunity to create once more! That’s if, by popular demand – and a truck full of cardboard, we don’t have another one sooner! Thanks Caine for inspiring us! 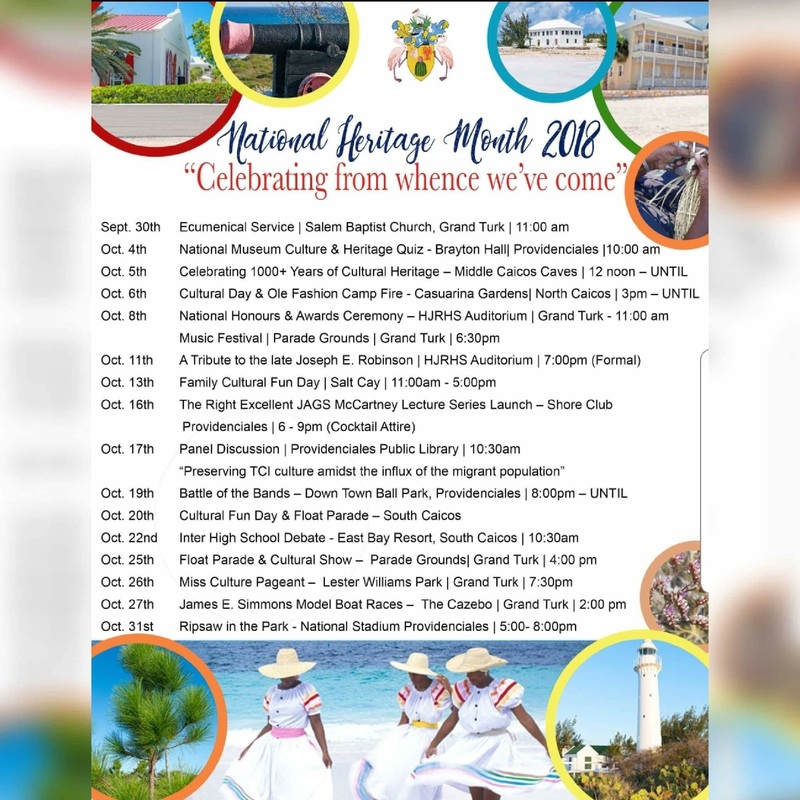 It’s National Heritage Month here in the Turks and Caicos. The Ministry of Education, Youth, Culture and Library Services invites you to join us in celebrating encouraging friends and neighbours to come out and be a part of the month –long activities. Click on the image left to see what’s happening in each island. National Heritage Month is a time in which we wholeheartedly observe and celebrate the rich cultural history of our country. It is through our celebrations that we recognise the work done by our forefathers, and the rich legacies they have left for our enjoyment. As we celebrate, we ask that we each reflect on our level of patriotism to this beautiful country; the role each citizen must play in making this a safer place in which to live, and the steps that are to be taken to make the TCI a more unified country. Look out for further details this week on our National Heritage Celebration Assembly on the afternoon of Friday 5th October – time to be decided. Everyone is invited to join us as our Years 3-6 honour our national song, tales and dances. We hope you’ll be able to join us for the celebrations! As always, do let us know if you are willing to come in and share a heritage related activity with the children during this month. Thanks to all our Clean-up Volunteers! 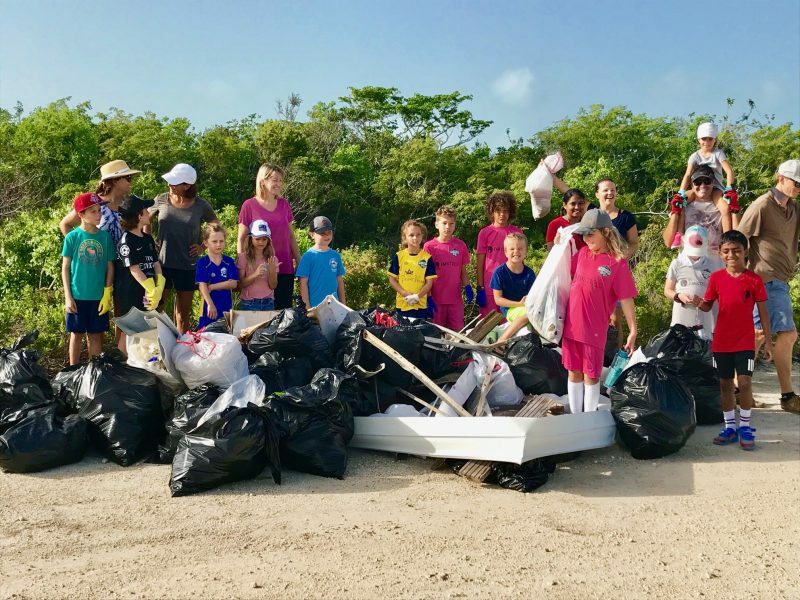 A HUGE thank you to the amazing efforts of our Provo Primary families and friends who supported our ‘International Coastal Clean-up Day’ participation this morning. Cleaning up the road from the TCIFA Soccer Field to the CARIFTA Stadium, was a crowd of hard-working volunteers (inc 25 students from our Yrs 1 to 7). This photo shows some of the team and a portion of the rubbish collected. The area had been brought to my attention as in desperate need for a clean up by our Years 3-6 students who travel the route to the stadium for their P.E. lessons. With vast amounts of rubbish collected, I trust that due to their actions, their journey will be noticeably cleaner (and for others and the wildlife too!). With a knowledge that we all have the ability to take action and to make a difference, it was interesting to hear the children’s ideas on how we could help to discourage the littering in the area – I wonder what you think could help? Meet at the CARIFTA Stadium Car Park on Venetian Drive or find us near this location, on Saturday 22nd September, anytime you can give between 7:00-9:00am. Why here? Walking to the stadium for PE lessons, our Year 3-6 children have noticed a lot of rubbish on the path that they feel something needs to be done about. So let’s clean it up and help make a difference! 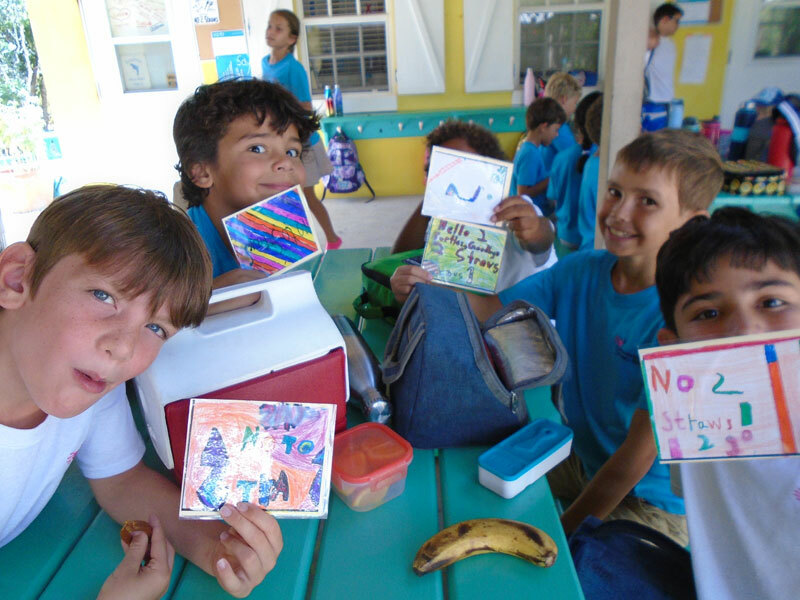 Year 5’s North and Middle Caicos Over-nighter! 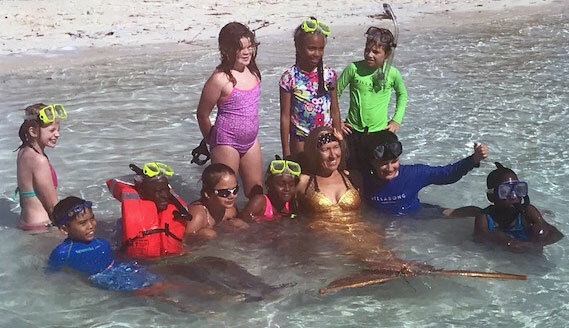 Year 5 carried out their overnight trip to North and Middle Caicos this Wednesday (13-14th June) and they had a fabulous time! The trip is a precursor to the week-long Year 6 trip the children go on; it is a chance for them to experience being away from home and their parents so they know they can handle this the next year. This group of year 5’s were a superb representation of Provo Primary School with their great manners, excellent behaviour and kindness towards each other. 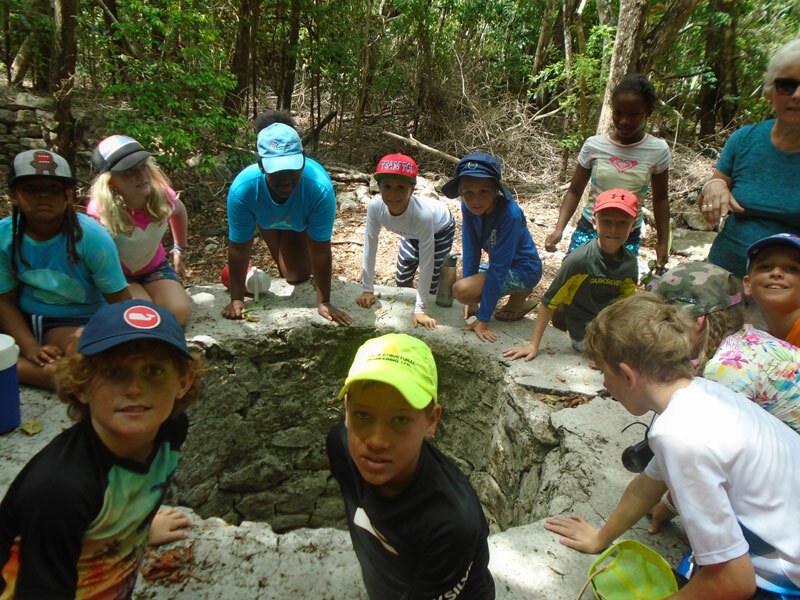 Year 6 have just recently settled back into school after an amazing, adventurous and astounding week in the Dominican Republic. Once again Year 6 made the journey to Rancho Baiguate, which is located in the area of Jarabacoa in the Dominican Republic. For 4 nights and 5 days our students participated in a range of activities. 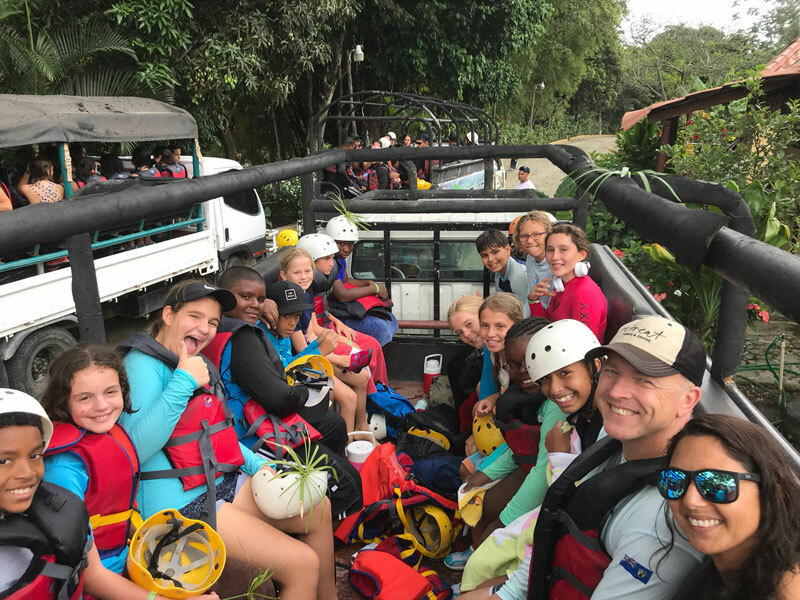 These activities included: high ropes courses, zip lining, hikes, water rafting, visiting waterfalls, horse-back riding, team-building games and so much more. Participating in a residential trip of this size enables ample opportunities for personal development. On this trip our Year 6 students increased their level of independence; worked collaboratively with others; challenged themselves to try new things and overcome fears; immersed themselves in a different culture; applied their knowledge of Spanish in a real and meaningful context; showed support to a less affluent community; appreciated natural beauty…the list goes on! Our students demonstrated excellent behavior, listening skills and attention. They embraced the opportunities given to them and gave it their all. A fantastic week which was thoroughly enjoyed by all. I wish to thank all of the other teachers and parent volunteers who came along. Their support, encouragement and enthusiasm were invaluable to the success of this trip. Please read the comments below from our students and witness firsthand how this trip impacted upon them positively. Year 1 have been learning all about Caribbean style houses and homes. We looked at brightly coloured houses with shutters, verandas, ginger breading and other Caribbean features. 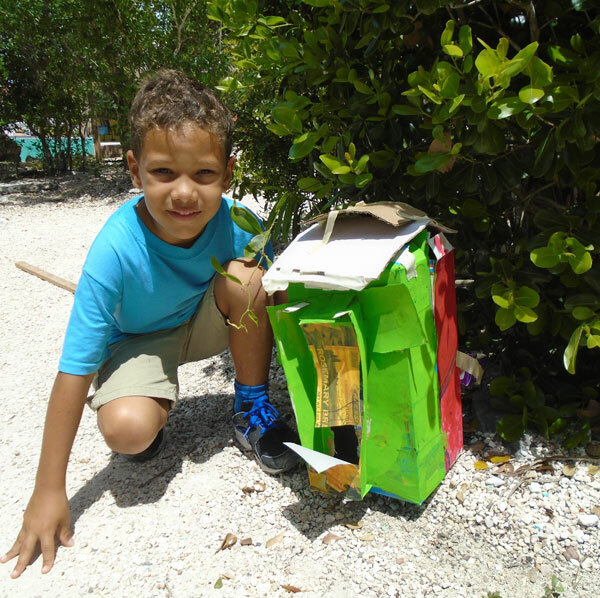 After all this research, the children set about brainstorming ideas, planning, designing, drawing, making and painting their very own Caribbean style home. The children collected boxes and other items for recycling and brought them in to school to make their creation. 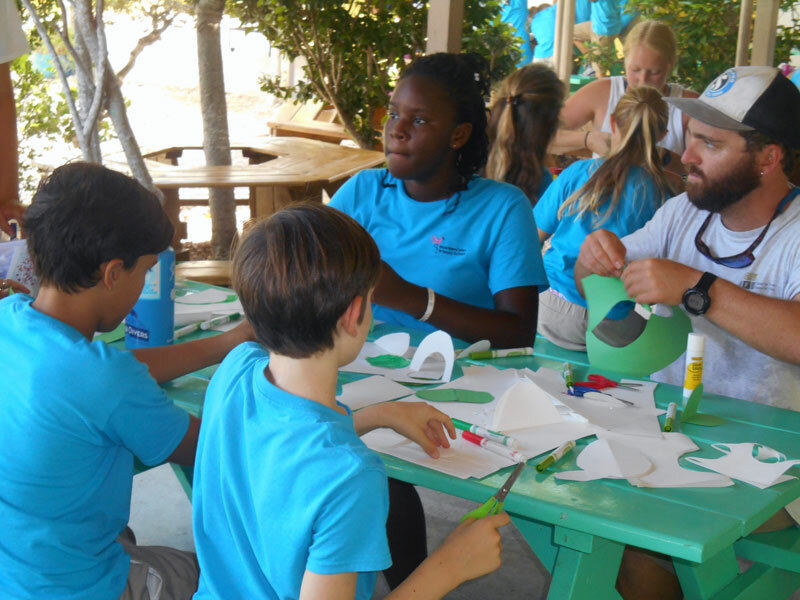 Visit the Caicos Sloop project. Simply click on the image above and print and complete the attached registration form. Hand it into the school office or email it to us at info@provoprimary.com. The Preschoolers have been thrilled to learn about the role of people who help in our community. 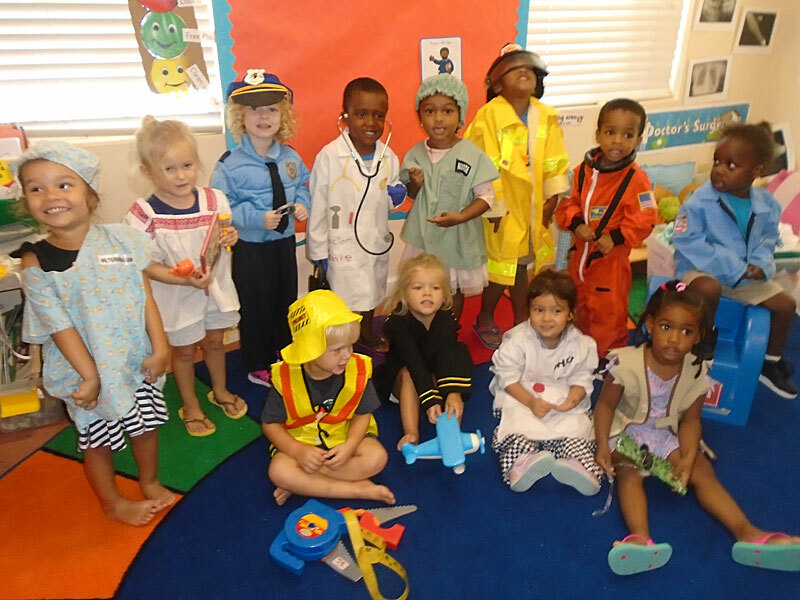 They were excited to get dressed up in the community helpers’ outfits and role play, imagining the classroom as if it was their work place. During the first week, the focus was on just getting acquainted with names of all the people who helps in our community. In the second week, they learned about how each community helper contribute their services to the community. The Preschoolers also learned about the tools of the community helpers. Did you know that yesterday, Wednesday 23rd May was World Turtle Day? Well, the SK children at Provo Primary School certainly did! Already a very animal and environment conscious class, SK took the time to really think about why turtles are so special. We discussed how lucky we are to live in a place where we can go to the beach, particularly Smiths Reef and Coral Gardens, and spot turtles from the shore… or, even better, go for a snorkel and watch them feeding on the sea grass. We enjoyed thinking about all the great things about turtles, however, we also began to think about how much danger they are in. From climate change to habitat loss and being caught in fish lines and nets, it is not surprising that 5 out of the 7 species of turtles are endangered. 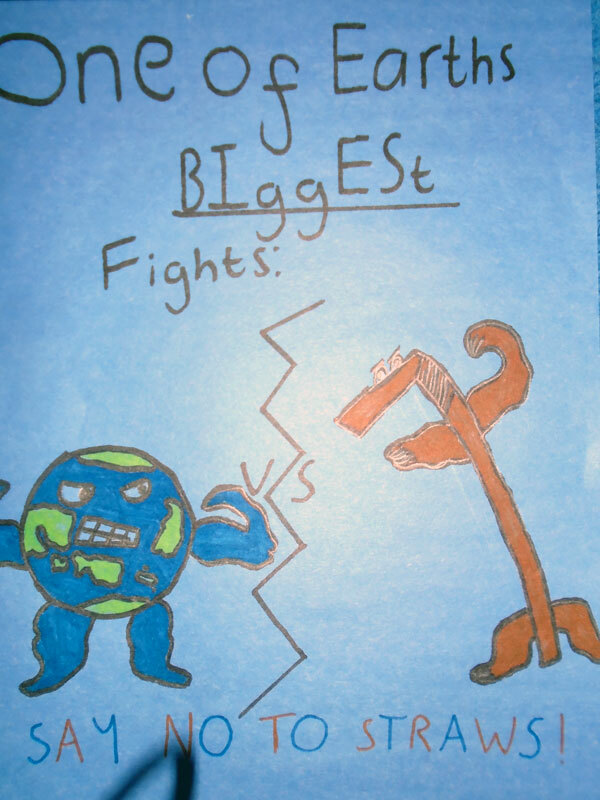 All the children from Year 1 to 6 were invited to participate in a poster competition, advertising the ‘SAY NO TO STRAWS’ theme. Well done to all the winners and to everyone who took the opportunity to participate. Year 3 are leading the way, creating some ‘NO TO STRAWS’ cards to help remind everyone to join the DECR ‘WE SAY NO TO STRAWS’ campaign. The idea is for them to take the cards out with them when their family is dining out, helping them to specifically ask for no straws when ordering their drinks. The Year 3s have also made cards to be placed into their lunch boxes to help them remember not to bring straws to school. This year’s Earth Day (22nd April) was the kick off for the DECR ‘WE SAY NO TO STRAWS’ campaign and Provo Primary is in full support. Through encouragement from our School Council, we have taken on the challenge to try not bring any straws into school, especially those attached to juice cartons. The straws that have been bought in are being recycled and used during art and craft sessions – a great idea from our Year 6! We have also managed to encourage everyone to recycle and/or use metal cutlery during our eating times at school. Look out for further blogs this week about our ‘No Straw’ mission. Through the help of our School Council, Provo Primary is taking part in a Class Food Bank Drive for the Food for Thought organisation. 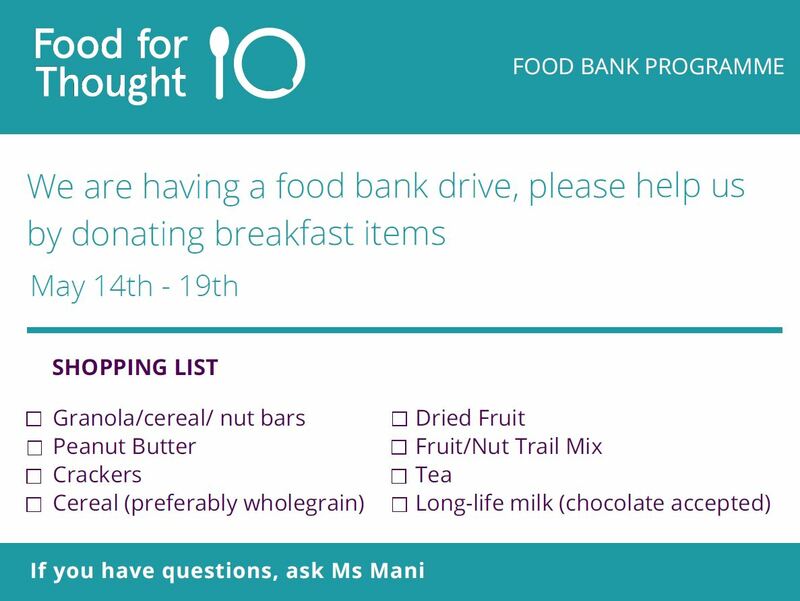 As you may know, Food for Thought (as well as its Breakfast Programme) currently has a Food Bank Programme, in which ten of the government schools have Breakfast Boxes where students in need can go to get something to eat. They provide instant oatmeal for 20 students per day at each of the ten schools. On top of this, they ask for public donations of other non-perishable breakfast items to keep the Breakfast Boxes topped up and full of variety. The past few weeks Year 3 have been extremely busy preparing our brains and developing our Numeracy skills for the yearly class shop to IGA. We have been learning how to measure liquids using milliliters and liters; estimating and reading weight using grams and kilograms; plus we have been learning how to estimate, add and subtract using a decimal point – tricky, tricky! 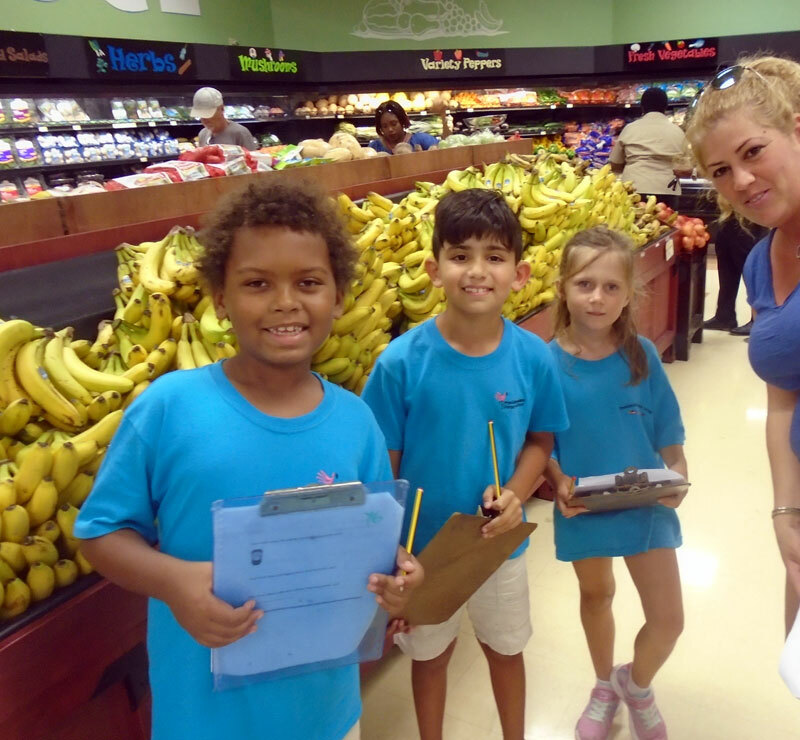 We had a fabulous time at IGA, practicing these skills, estimating our shopping bill, paying for it and checking the change – it was a lot of FUN! A big thank you to IGA for hosting us. We concluded our Math topic by creating an edible gingerbread house. Each ingredient had to be recorded, added up and paid for before we then happily devoured our amazing creations YUM! Well done Year 3. A definite highlight of the short but packed Spring term, was our visit to the beach! As an introduction for writing our own myths, we learned about Mermaids and Selkies and went off to Iguana Island for inspiration. We gathered shells and other treasure on the beach – watching out for Iguanas! Then we went for a swim ……and MET A MERMAID! We had the chance to talk to her for quite some time before she swam off in to the distance and disappeared beneath the water! Our amazing mermaid myths are now complete so please feel welcome to come into the Year 4 classroom to read them and to see our mermaid pictures close up.